The summer Alpine trekking season is almost upon us. 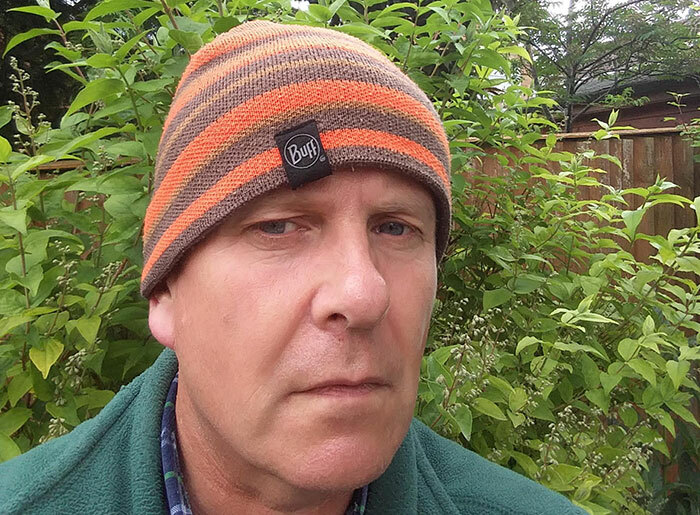 So we at Alpine Walks have asked Duncan to review an array of essential Alpine Summer trekking gear, that’s best for any trip out on the mountains. Lets start with boots! If you’re heading for a long distance Alpine trail this summer, check that the tread isn’t getting tired on your boots or that any stitching doesn’t show signs of fatigue. Your boots also need to be sturdy enough to provide good ankle support and have a semi rigid sole for standing on the pointy rocks in boulder fields or crossing scree slopes. A semi rigid sole is usually found on a B2 boot, to which you can fit a walking crampon. This can be useful if your trek involves crossing a dry glacier, such as the Theodul Glacier, above Zermatt on the Tour du Mont Rosa or TMR. Or the boulder field on the Champex Lac side of the Fenetre D’Arpette, Tour du Mont Blanc or TMB. Your average ‘flexible’ walking boot will probably not feel that comfortable after a couple of days hut to hut, on the rockier alpine paths. And certainly wouldn’t offer you good footing on a dry glacier or any short sections of ladders or ‘via ferrata’. Other options to illiminate are ‘Approach shoes’. They look like a walking boot but with the same cut as a running shoe. They don’t have the ridged ankle support needed for long journeys over rough terrain, especially on unstable ground or descents when legs are tired and you’re more likely to misplace footing. Most boots now offer some sort of water proof breathable protection, whether it’s Gore-Tex, E-Vent or other waterproof lining that helps to remove moisture from inside your boot. These certainly provide more comfort on a multi-day trip. Cleaning your boots using manufacturers recommended cleaners, prior to your trip, will help ensure the breathable lining is functioning reducing uncomfortable sweat on your multi day trip. Sometimes the boots ‘wet out’ – too much rainfall and not enough breathability to get the moisture out, whether its due to heavy prolonged rainfall or boots getting covered in mud so that the breathable fabric can’t function properly. A cut down plastic bag in each boot, as an ‘outer sock’ won’t stop moisture build up – but it will keep your feet toasty warm whilst you are walking in continuous rain, with soaking boots. When you arrive at the next hut, just be sure to take out the bag, to allow the boot to dry out. Wash your feet, dry and treat with talcum powder. 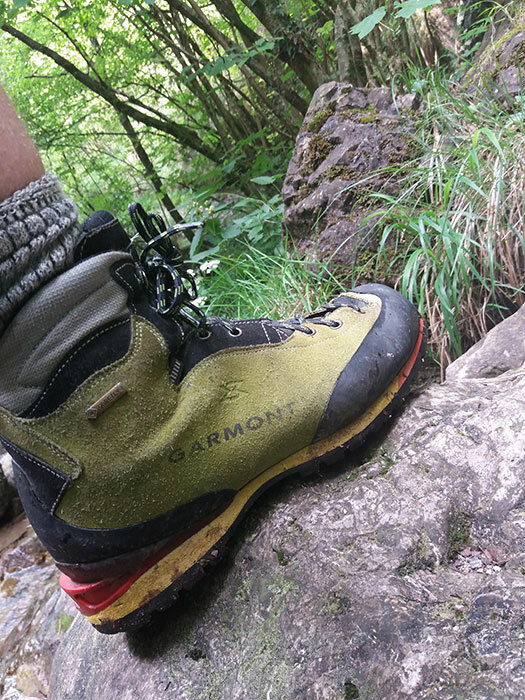 Garmont ‘Ascent’ Mountain & Via Ferrata Boots (pictured) – These boots have a semi rigid sole and are ideal for sustained summer mountain walking. The B2 sole allows for a walking crampon to be fitted for ‘dry’ glacier crossings and the firm sole and high ankle support helps on long ‘via ferrata’ ladders, rocky paths and boulder fields encountered in the dolomite’s. Like most boots produced in mainland Europe they are aimed at narrow feet (that’s me!) so are an ideal fit. At present only a few models of their boots are sold in the UK. For the full range you’ll have to go to Italy but if you’re in USA or Canada they have a website where you can find stockists. Yes, you need both! The ‘shell’ is key in your ‘armour’ in the fight against hypothermia caused mainly by sustained exposure to wind chill, rainfall or both. 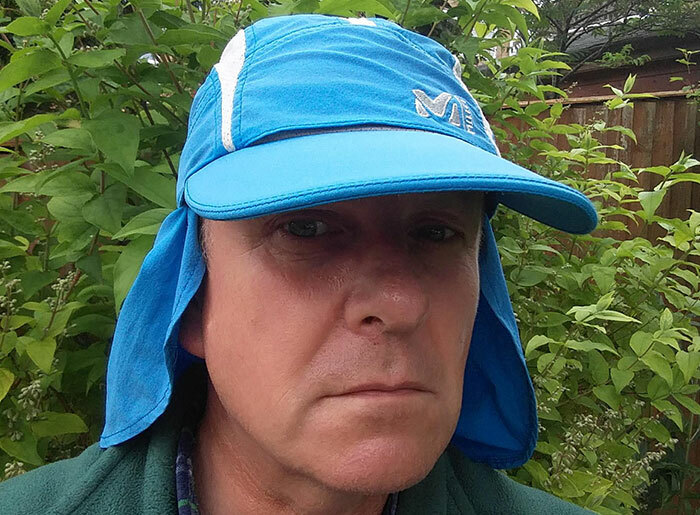 The jacket should have a purpose attached hood, one that comfortably covers your head when you are wearing a hat or a helmet, if you are on a Via Ferrata route and unfortunate enough to get caught out. Most long distance ‘hut to hut’ routes, generally follow paths up to altitudes of high points of around 3,000 metres in the summer. You can get away with a mid range shell jackets & trousers, something using a breathable material such as ‘Paclite’ or thinner ‘Gortex’ shells or spend more and go for ‘Gortex Pro’ or ‘Drylite’ . They are windproof and waterproof and offer a good degree of breathability, for protection from sudden downpours should you get caught out in the late afternoon storm. 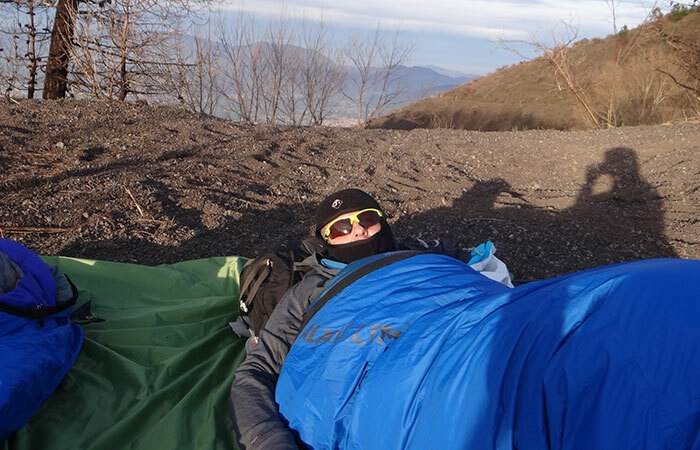 If you are planning on knocking off some 4,000 metre peaks during your trip, you may want something more hard wearing. Stronger Shell materials provide some abrasive resistance to rock or ice. Sustained exertion causes more body heat and sweat and therefore the need for a high level of breathability in your clothing. I’d therefore consider something with the ‘Gortex Pro’ lining (Notable brands: Mountain Equipment, Arctyrex), ‘Neo shell’ (notable brands: Montane, Mountain Hardware), or ‘Drylite’ 3 layer (Mountain Equipment). The designs tend to provide stronger fabrics for harder wearing areas and the waterproofing/ breathability ratio’s are higher. These jackets and trousers can take more knocks and keep you dry in more arduous conditions. The typical weight difference between this and the lighter brands, mentioned above is about 150 – 200 grams. The Mountain Equipment Lhotse Gortex Pro Shell Jacket is now in it’s 3dr year of production and it’s an essential Alpine Summer trekking gear addition. Its about 50 grams heavier than the Arctyrex Beta AR (Alpine Pro shell). Both jackets are considered to be ideal for use by those operating in the European Alps in Summer and Winter and seem to be favoured by guides and serious Alpinists alike. I was on the lookout for a new 3 layer Gor tex Pro shell and found the Lhotse on offer at www.alloutdoor.co.uk. After identifying the type of jacket I wanted and searching the internet for the best deal, I purchased it for £216 (RRP £350) in a sale. 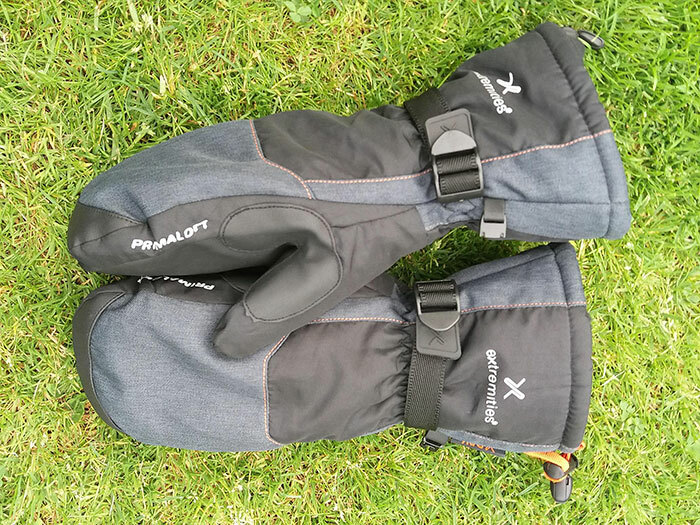 Alp Kit Parallax Over Trousers – Alp Kit rate these trousers as being somewhere between the lighter waterproof/ breathable rating and the full on Alpine rating described above. They are relatively cheap (£60) but are not the outsized ‘bin liner’ shape, normally associated with the lower end of the budget. Alp Kit are a reasonably close cut fit and elasticated, something normally only seen in the more expensive high end trousers. They are extremely light in weight and Alp Kit boast high breathability and a hydrostatic head rating of 20,000 mm. The widely accepted industry standard of a waterproof fabric is a material that can withstand 10,000 – 20,000 mm of water pressure over a 24 hour period. They don’t look very tear resistant so avoid ‘technical’ summit bids in wet or snow conditions. 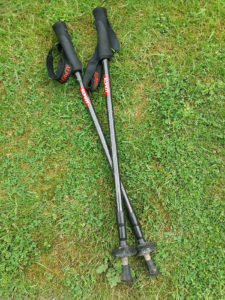 I use them for summer alpine walking and travel on glaciers (as long as you watch your crampon placement technique). The zips are not that long but seeing as they are close fitting you’ve got to take off boots to put them on. Perhaps in the future Alp Kit could make them with a full length zip feature to save on footwear removal. If you’re just walking, you can get away with Wool gloves (costing as little as £4 a pair from any clothes shop). Wool will still keep you hands from freezing, even if its wet through. If you get caught on a section of bolted ladders or metal cable safety on a wet day then insulated leather gloves will keep you warm and more importantly, offer good grip. When in the Chamonix, the Mecca for those doing the Tour du Mont Blanc (TMB), there’s a shop called ‘Technique Extreme’ that sells leather gloves for around 20 euro’s. If you really want to splash out on something warm and waterproof I’d look at the ‘Terra Nova Extremities‘ range. They are well established and i’ve been using a variety of their gloves for many years and always found them to work well. If your hands suffer in cold conditions then i’d go for mitts. Less stitching than a glove, means less chance of water absorption. Having all fingers together also means more body heat in one place, so your hands stand a better chance of staying warm. Check out anything with ‘Primaloft’ Insulation. They retail for between £30 – £40 per pair for waterproof ones. Hats – You’ll Need Two! I favour one made by Millet, which looks a bit like a legionaries Kepi, but good for shading the ears and back of the neck as well as the head. Its also extremely light and has good ventilation. Light weight, yet strong, with excellent design features and comfort I’ve used Osprey bags since I went on a 4 month expedition to South America in 2004. These days, I use a Talon 33. To be honest you could pack all the gear you need (see my list and pictures at the end of this blog) into the Talon 22, but I use the larger one because as a guide I need to carry a few extra’s (Rope, slings and caribeeners, bothy bag and a larger first Aid Kit, depending on the type of day planned). Just make sure that you get ‘sized’ up properly. The packs come in different back lengths and are non adjustable, so make sure you pick the right one. Visit your nearest Osprey dealer and ask to try on the bag. Ask the shop assistant to put some items and weight in so you can feel how it sits on you. Put the pack on. The top of the frame, where the shoulder straps are stitched to the back of the pack, should be level with your shoulders. The centre of the hip belt should be covering your hip bones. If its positioned correctly the belt will take some of the weight from your shoulders when its tightened up. For summer hut to hut treks, you should be able to get everything in the Tallon 33 rucsack with room to spare. For Bivvying out (sleeping out in the open without carrying a tent) in the higher mountains try the Osprey Tallon 44 rucsack (pictured) because you’ll need to carry extra gear. My money’s on ‘Alp Kit’ for these. Their Carbon Lites are 169 grammes each (hang on to them or they’ll likely blow away in the wind!). They retail at £59 a pair and come with a 3 year warranty. These three-section-adjustable poles are strong enough to give you the support you need on steep hills. And are great while going up or down and to improve your speed on flatter terrain. 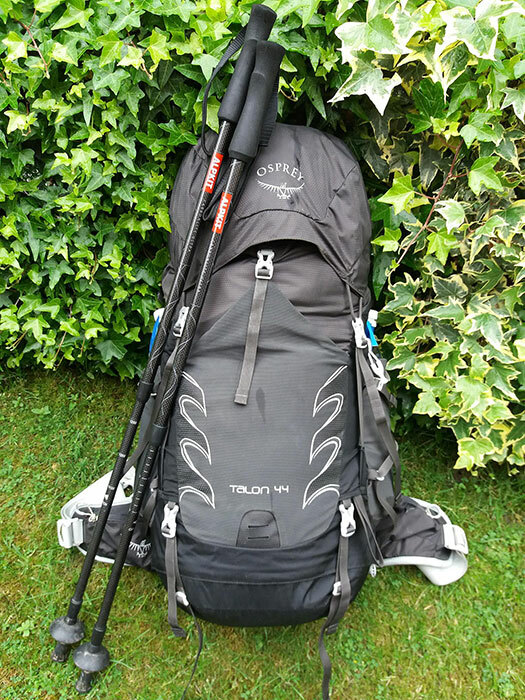 They don’t quite collapse short enough to go into my Osprey Talon 33 Litre pack at the airport. However, if you unscrew the sections from each other, you can then get them in the bag. No hold luggage! I’ve been using these poles for nearly 4 years now. I have had a couple of malfunctions (locking mechanism failure and one carbon section cracked after being attacked by a moving boulder). In both cases I contacted ‘Alp kit’, sent the poles back and was given replacements. So yes, the three year guarantee works! If you don’t like the idea of dismantling the poles they do an Aluminium version (275g each). These fold down to 38 centimetres. I haven’t found anyone yet, including Leki, that can match these for anywhere near the money. The material feels lot more comfortable and soft on the skin, not harsh. It wicks moister far more efficiently, so you don’t feel as damp. You could still get sun burn through a breathable polyester top – that doesn’t seem to happen with the Merino’s. A Montane Primino 140 Zip Neck (weight: 200 gms, 5 oz). Light but with a thicker collar. Performed very well in terms of keeping my body temperature comfortable and wicking away moisture. Designed more for colder weather/heavy activity, it kept me warm and dry. This was despite some sustained uphill sweating in the late March sunshine. I was climbing from 700 metres to 2000 metres in the Abruzzo Mountains of Central Italy. This is where the daytime temperature was around 18 degrees ‘C’ in the valley. And around 7 degrees ‘C’ up top. I also tried the Icebreaker Men’s Everyday Long sleeve half zip (weight: 200 gms, 7 oz). Again, very good at wicking moisture away. After 3 days wear it still didn’t smell – well, no one in the hut said anything anyway! 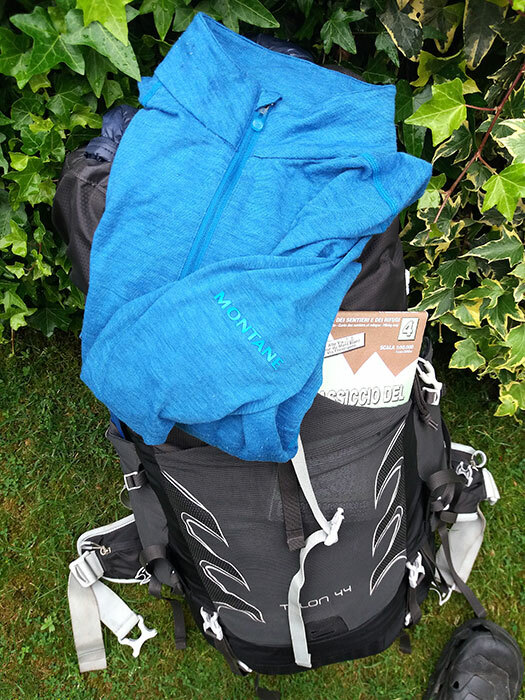 The fact that it is pure wool and not a mix, made it feel slightly more softer to wear than the Montane top. But that could be a matter of personal opinion. ‘Rab’ Flux or ‘Rab’ Nexus fleeces. I’ve tested both of these fleeces. The Flux weighs 227 gms (8 oz) and the Nexus 270 (9.5 oz). I didn’t feel warmer in one than in the other, despite differences in the material. They certainly function well in terms of warmth and breathability in summer alpine conditions. I preferred the ‘brushed’ feel of the Flux and its ‘Polygiene’ odour control. This works well with the base layers described in the previous paragraph) helps well on those multi-day trips. I’m also being weight conscious so it’s the flux that’s going back into my bag for the forthcoming summer season. 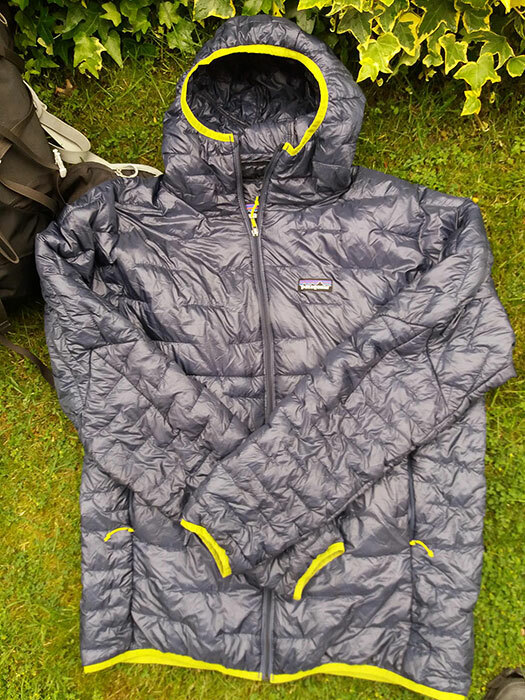 For this summer I’m trying the Patagonia Micro Puff Hoody. The filling used is ‘Plumafil’, a polyester lining. Last Saturday it was 10 degrees Celsius, about the same temperature as you’d get at around 1200m (4000 feet) in the Alps on a July evening. I wasn’t hot, but I wasn’t cold either (and I only had a thick cotton shirt on underneath). Its treated with a Durable Water Repellent finish on the Pertex ripstop outer so it will deflect snow. It also helps stop the lining from ‘wetting out’ if you’re that high up during the day time. Again, don’t expect it to keep you warm if you haven’t got the base layer and fleece on. But it seems a good combination and it’s amazingly light. It’s just 264g (9.3 oz) including the hood! Now, that’s light. In fact my Synthetic jacket and fleece weigh about the same as most other down/synthetic jackets. But with this combination you have more flexibility to control your temperature by removing one of layers. Watch out for an update later in the season. I’ll be reporting back on how well this jacket is doing in it’s first season of manufacture. More about how I got on with these in the next blog. Below are links to places where you might be able to track down a bargain. Also links to all the companies that make the clothing that I use and recommend. I hope this provides some inspiration for your next trekking adventure! 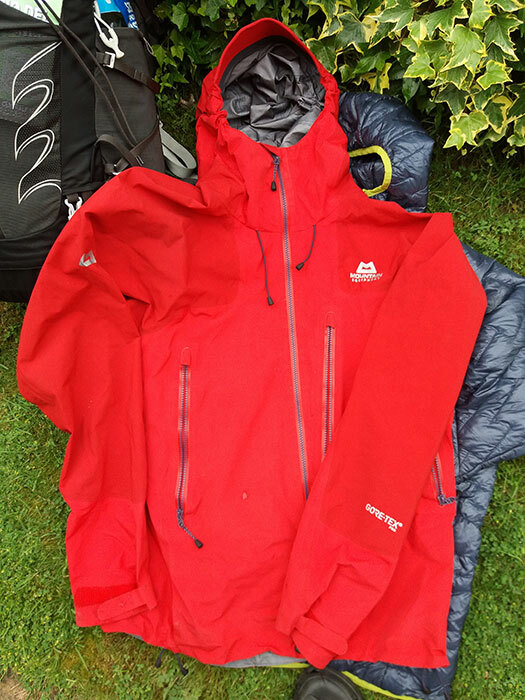 Did you enjoy this article on the essential Alpine Summer trekking gear? Please leave a comment or share on social media.